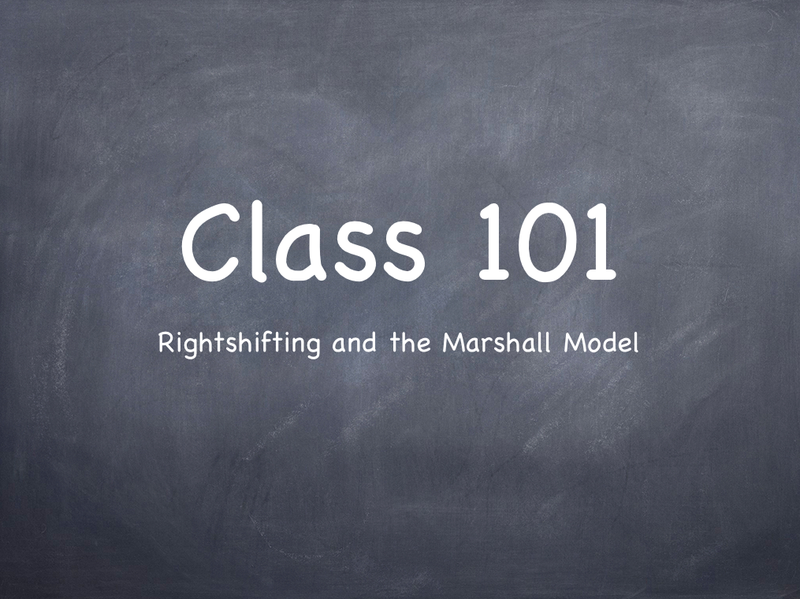 Several kind souls have recently suggested to me that they might like to read an overview or simple summary of Rightshifting and the Marshall Model. Further, some have suggested I might write some illustrative stories – e.g. situated in organisations holding different mindsets – such that they might better relate personally to these ideas, and gain some understanding of what life might look like and feel like for people in organisations at each one of the seven stages of the Marshall Model. Being happy to oblige, but yet slight daunted by the prospect, I’m nevertheless game for it. So this (first) post, in what may well become a series, takes a look at the “why” – the rationale for my work, and then describes the seven stages of the Marshall Model of Organisational Evolution (Dreyfus for the Organisation). After that, we’ll see what feedback I get, and let that feedback suggest some directions for further posts (if any) in this series. Would you be willing to explain your needs to me and make some requests for future content? Having spent some twenty years in the Software Development industry trying to understand why things are so broken, just about everywhere we look, I eventually came to a small epiphany. Regardless of the root conditions of the issue, making any kind of progress – either within individual organisations or across the industry as a whole – would require folks at all levels to first become aware of just how ineffective they and their organisations were. At the time – and even now, for that matter – I see scant evidence of folks even beginning to comprehend how ineffective (relatively) their organisations actually are. It seemed to me that only after achieving some basic level of awareness would some folks seek to take responsibility for their situation and then, maybe, commit to doing something about it. (cf. ARC – Awareness; Responsibility; Commitment – from Sir John Whitmore’s Coaching For Performance). How does that relate to “efficiency”? What do we want for our organisation (effectiveness or efficiency or some balance thereof)? How effective are we presently? How effective could we realistically become? What have other organisations managed (sic) to achieve by way of effectiveness? What would “improved effectiveness” mean for us, practically, as an organisation? Do we want some of that? How much of it do we want, and over what kind of timescales? What might it take to get us some of that? A couple of years after embarking – with a few friends and colleagues – on this awareness campaign, I saw some folks working through this list of questions, and, with some difficulties along the way, arrive at the final question, above. What is life like – and what accounts for the disparity – in organisations at various different points along the Rightshifting axis? Why are some (few) organisations much more effective at pursuing their goals than all the rest? Is there something reproducible, i.e. a strategy or approach, that less effective organisations could adopt to become significantly more effective? As a change-agent what might help me serve my clients better? Which changes might work well for a given client, and which might be just “noise”? How might I tailor my interventions to best suit each client? The latter question is, of course, where I began to see the parallels with the Dreyfus Model of Skill Acquisition. And the origin of the Marshall Model. The Dreyfus Model (of Skill Acquisition) may be familiar to the Agile Coaches and ScrumMasters amongst you. This model was the inspiration – in term of structure, at least – for the Marshall Model. Dreyfus proposes an explanation for how student acquire skills through formal instruction and practising. It’s value lies in helping e.g. instructors, teachers, coaches and the like think about effective ways in which they may help their students acquire the skills they seek. I suggests that an instructor’s approach is often best tailored to the current skill level (i.e. Novice; Advanced Beginner; Competent; Proficient; Expert) of each individual student (or group). Similarly, the Marshall Model proposes an explanation for how organisations acquire increasing levels of effectiveness – skills in meeting their organisational goal or goals, if you like. The Marshall Model proposes some seven stages of organisational evolution. Each stage signifying notably more effectiveness, relative to the prior stage. Nice. I’m hoping your series will lead to a book. Thanks Bob for starting this series, it satisfies my need to understand a structured approach to addressing organisational effectiveness in an environment that is not yet fully aware of the magnitude of improvement that is possible. Would you be willing later in the series (should you wish to continue) to share some examples of how some organisations have effectively navigated through the seven stages of the Marshall model (hopefully towards the right, rather than then left)? I like the blog and appreciate the 7 stages and associated characteristics. Could you explain why you specifically use the word “Chaordic” at 6 and 7? Happy to explain. Derives from the work of Dee Hock. Pingback: Crisp's Blog » Kontinuerlig förbättring i det långa loppet – hur och varför?